It’s not unusual for small to medium businesses to hire an IT employee for their company. However, you may feel as though your in-house IT department hasn’t been meeting your needs lately. While an in-house IT department has its advantages for certain businesses, many are choosing to utilize managed IT support services instead. If you’re considering making the switch, keep on reading to find out if it’s the right match for you. Hiring a full-time IT employee requires a salary, benefits, and the overhead fees required to give them an office space. Instead, most managed IT support providers operate on a monthly fixed-price model; therefore, it likely ends up being more affordable to hire an outsourced company than it is to hire a full-time, in-house IT employee. What happens when your IT employee can’t figure out a technical problem? You need to hire outside help to solve your problem, thereby resulting in additional costs. With a support provider, there is an entire team able to assess your issue with no additional cost incurred due to the monthly flat-rate. Is your IT employee’s nine-to-five schedule just not working with you anymore? Or maybe business is booming, and you find that your IT department can’t keep up. Whatever your reason may be, growing businesses often feel as though the support they receive from an in-house technician is not doing enough to manage their growth. Major operations, like hospitals, require a round-the-clock, in-house support team—growing small to medium businesses? Not as much. However, many businesses still find that they do require more support than the average in-house technician can provide. Though you may not require 24/7 IT support, knowing that a managed IT service provider can solve any issues that may come up in the middle of the night is comforting. While this may sound like jumping the gun, try to envision what your business looks like in five years. How about ten years? Though it can be hard to picture, especially if you’re a small business just starting out, your business’ IT needs can be the force that determines what type of IT support you need now. If you picture your business expanding, you’re going to want IT support that can grow with it. When a business grows, the technology that supports it needs to grow, too. A company that offers managed IT support will be able to accommodate the technological changes that will be required with your business’ expansion, as they are equipped with the latest technology, can provide on-site training, and offer 24/7 IT support. If you find yourself falling behind on current tech trends, or not understanding the key tech phrases that other small business owners throw around, you should consider upgrading your IT department. Even if your business isn’t paying attention to the latest IT and technology trends, you can bet your competition is. To keep up, hire a managed IT support provider that will deliver the latest and most up-to-date computer services. Rather than hire an IT employee who just knows the basics, go with a company that can update you with the latest technological trends, so you can stay ahead of your competition. Between server malfunctions, website errors, and security risks, there’s a lot to worry about in the IT world. If you find yourself kept awake at night, imagining the horrors of what could go wrong, it’s time to upgrade to a company that offers IT support. 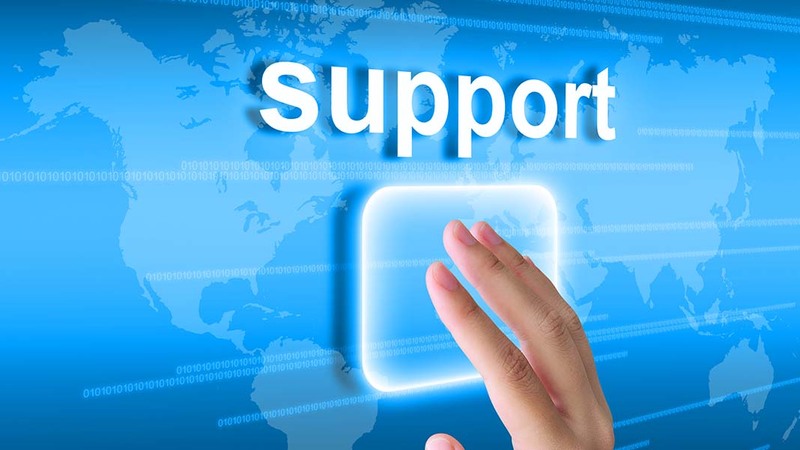 Managed IT service providers offer around-the-clock support. Rather than paying an IT employee overtime to stay late in the office, managed IT support will deal with your IT needs 24/7, all for a monthly flat rate. Not only does this save you money in the long run, but it saves you a major headache as well. ETech 7 is a managed IT services company dedicated to providing superior quality service to a wide range of businesses. Leveraging state of the art software and world class service, ETech 7 strives to deliver affordable and reliable solutions for all your IT needs. ETech 7 allows companies to outsource professional setup, routine maintenance, emergency assistance, and project development. Follow @ETech7 on Facebook, Twitter, and Linkedin.